With a faculty focus, findings from the latest Class and Labor Report call for collaborative work to achieve Emory’s full potential for an ethically engaged, diverse community. 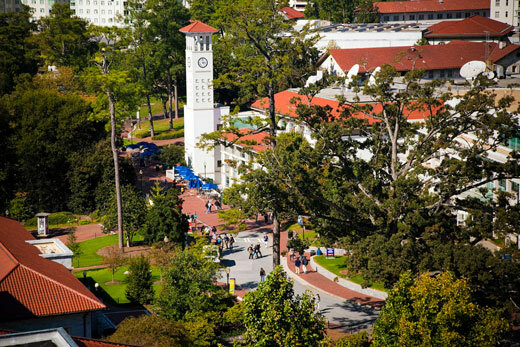 Findings from Phase II of Emory University’s Class and Labor Report have been released by the Office of the Provost, and a steering committee composed of faculty and administrators has been formed to review recommendations and determine next steps. The report is the second phase of a study launched in 2010 with the goal of tackling an ambitious, campus-wide examination of the role of class and status at Emory. The first phase of the study focused on a wide-ranging examination of the university’s non-academic work force, including staff and contract workers. As a result, a committee was created to implement the report’s 62 recommendations. Building upon that work, the second phase is focused on ways in which class — and its related distinctions of power and status — affects the life and work of Emory faculty members. Co-chaired by Nadine Kaslow, professor and vice chair for faculty development in the Department of Psychiatry and Behavioral Sciences at Emory University School of Medicine and chief psychologist at Grady Memorial Hospital, and Gray Crouse, professor in the Department of Biology, the Class and Labor II Committee has presented a report that offers some 44 recommendations. Those recommendations are grouped within a series of guiding themes, which include: community and culture; diversity, inclusivity and equity; workplace expectations; recruitment and retention; professional development and advancement; workplace satisfaction; and NTT. “The next phase of this work is for the implementation steering committee to formulate action plans for the recommendations and engage with the university offices, administrators, schools or units and faculty who are responsible for the action plan,” says Deborah Bruner, chair of the steering committee, Robert W. Woodruff Chair in Nursing and a professor in the Emory School of Medicine’s Department of Radiation Oncology. “Of equal importance will be the inclusion of plans for metrics for success and ongoing monitoring and evaluation,” Bruner notes. A letter detailing information about the final 350-page report and an 11-page executive summary of findings is posted on the website of the Office of the Provost. Moving forward, the report calls for Emory to build upon its financial resources and outstanding faculty as a basis for change. Led by Bruner, the steering committee composed of faculty and administrative leaders from across Emory will advise on the implementation of the report’s findings. The committee will serve through 2021 and is charged with providing regular progress updates. “As the Emory faculty community moves forward with this work, we hope that you will be willing to engage with this process through working groups and open communication with the Steering Committee, the Office of the Provost, and the Office of the Executive Vice President for Business and Administration,” states a letter to the faculty from Dwight McBride, provost and executive vice president for academic affairs; Christopher Augostini, executive vice president for business and administration; and Henry Bayerle, associate professor of classics at Oxford College, president of the Emory University Senate and chair of the Emory University Faculty Council. “Ongoing and active engagement will be crucial as we do the important work that will continue to build the future of faculty excellence at Emory,” the letter says.